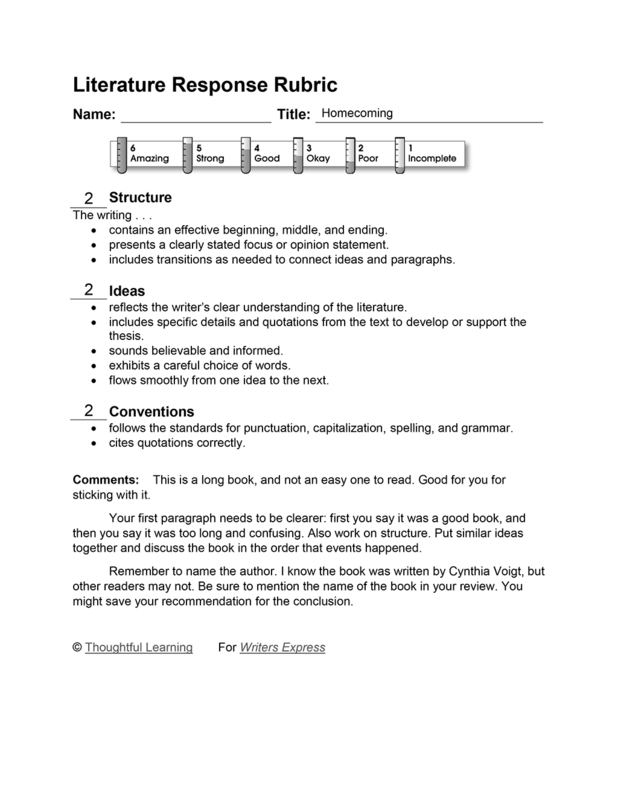 In this review, a student recommends the book Homecoming by Cynthia Voigt. It was a good book. It was too long though. It was confusing at the end, where everyone was at grandma’s farm. I would not recommend this book to anyone younger than grade 5. It had a lot of cunfusing parts in it. There were too many different characters in it to keep track of all there names. There is one good part though when Dicey and her brothers and sisters are running from this mean guy they had been working for. See they had to get to there grandmas cause there mom was in a mental hospital and they had to walk there and it was along way away. Homecoming by Thoughtful Learning is licensed under a Creative Commons Attribution-NonCommercial-ShareAlike 4.0 International License. Based on a work at k12.thoughtfullearning.com/assessmentmodels/homecoming.